Inscriptions: Titled in pencil at l.l., designated a Tamarind Impression at l.c, and signed and dated by the artist at l.r. ; blindstamps of Tamarind and the printer at l.r. "Classic Ruins I." Loss and Restitution: The Story of the Grunwald Family Collection. 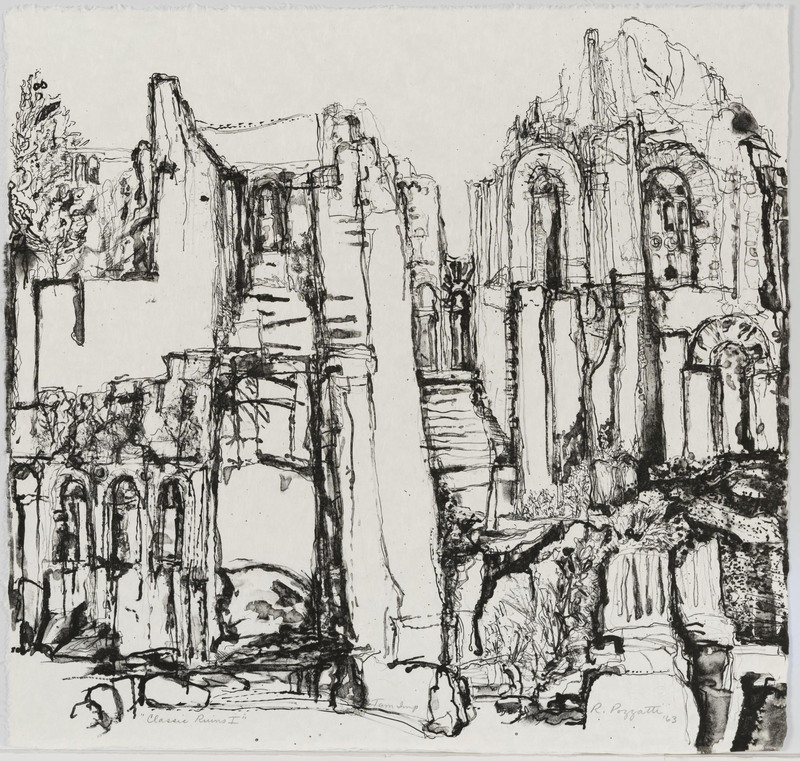 Los Angeles: Hammer Museum, 2017. https://​hammer.ucla.edu/​collections/​grunwald-center-collection/​loss-and-restitution-the-story-of-the-grunwald-family-collection/​art/​art/​classic-ruins-i/​.